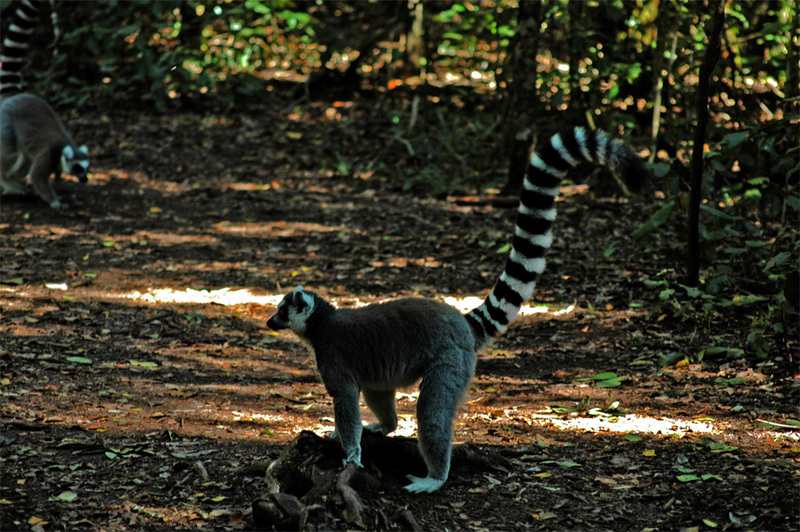 - You will enjoy it and you learn a bit about small monkeys and experience them right in front of your eyes. 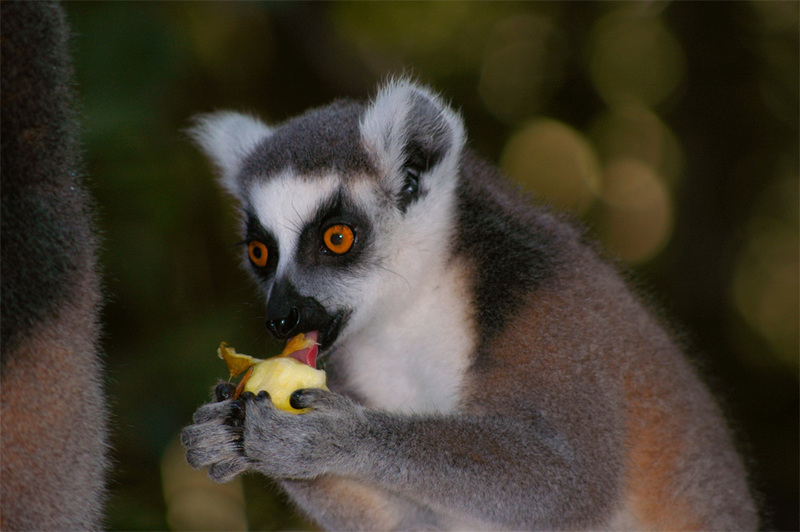 - Guided tours are in English ( in some cases they do it in German, please ask ). 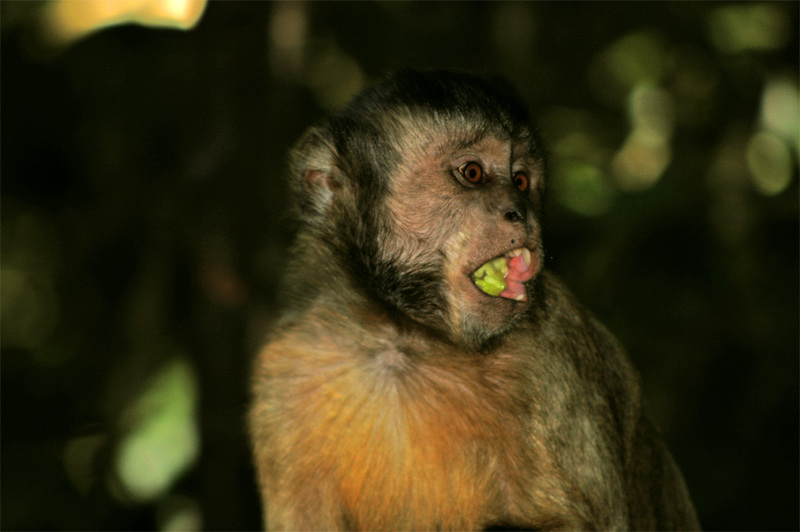 Very interesting tours are guided by trained staff through this 12 ha big outdoor reserve with different species of small monkeys. 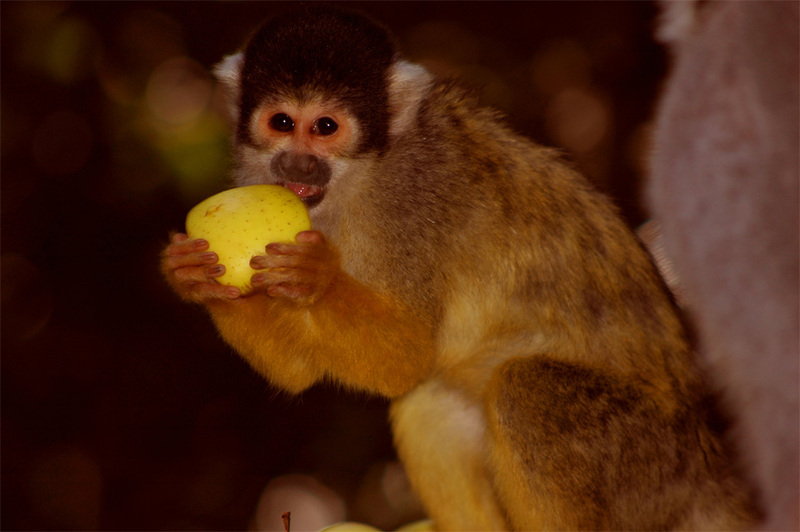 The small monkeys are not living in cages and by that guided tours you are able to come very close to this animals and you are able to take nice pictures. 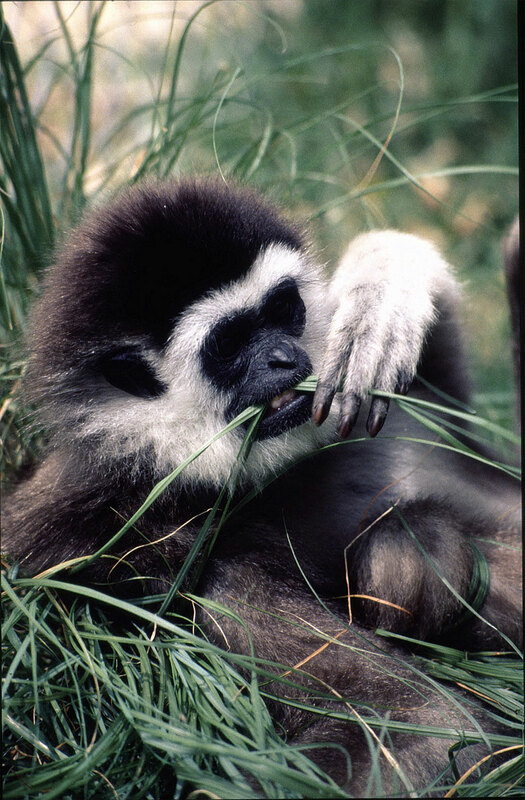 You will find small monkeys (primates) living together from all over the world which will not come in nature in contact to each other. 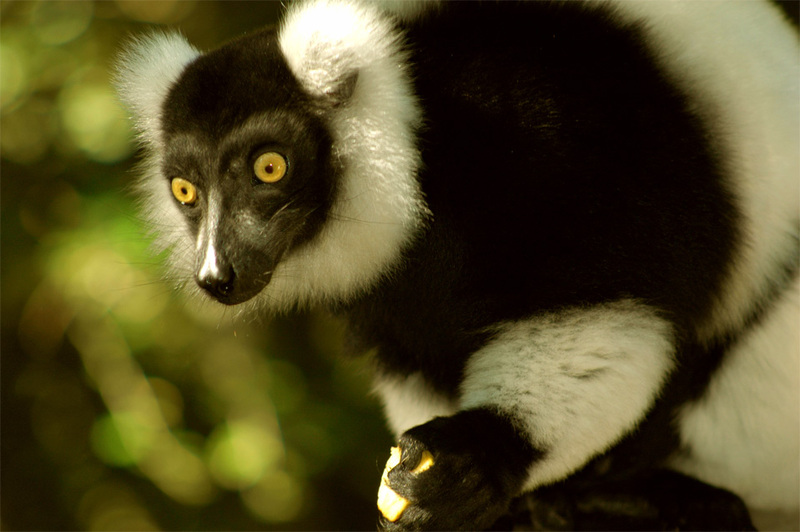 They come from Africa, Asia und South America and they are free-roaming in its 12ha big reserve and their lives and interaction are monitored. 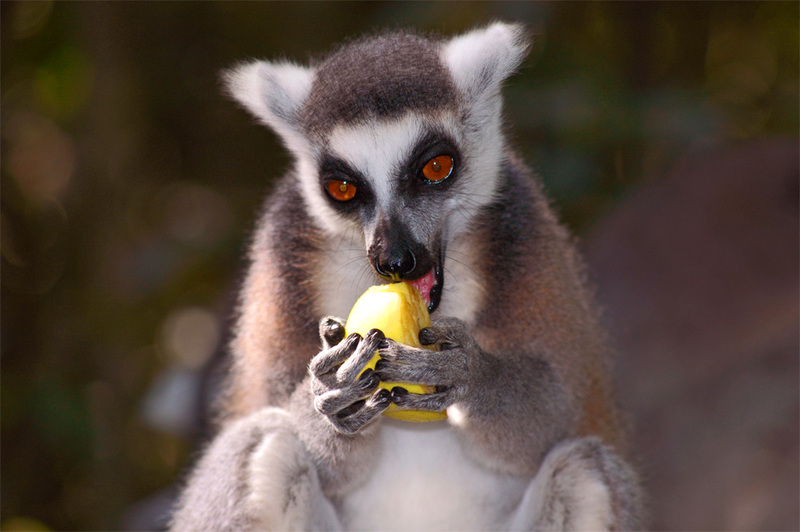 It is called Sanctuary because Monkeyland is a reception camp for saved / orphan or rescued animals from bad living condition which will be given back a more natural living environment. 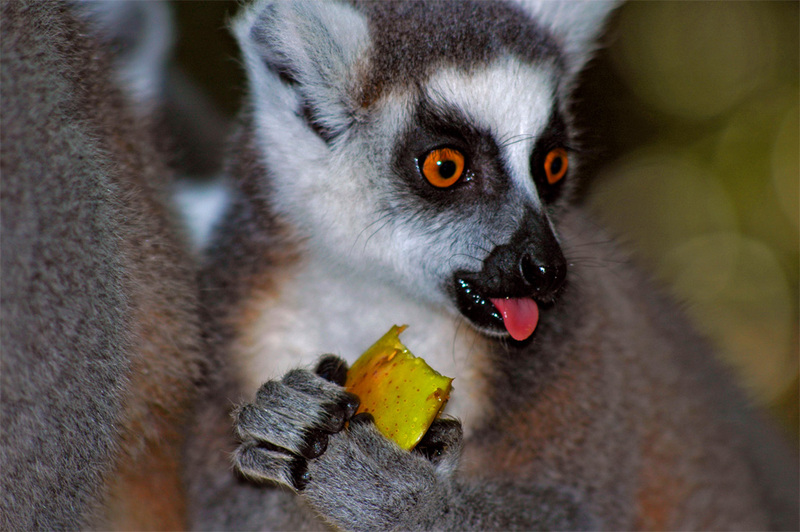 The ring-tailed lemur (Lemur catta). 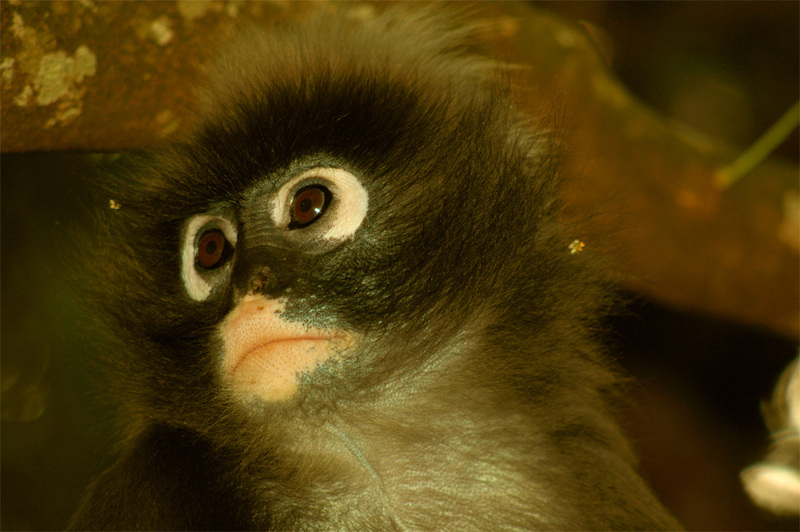 The spectacled langur (Trachypithecus obscurus). 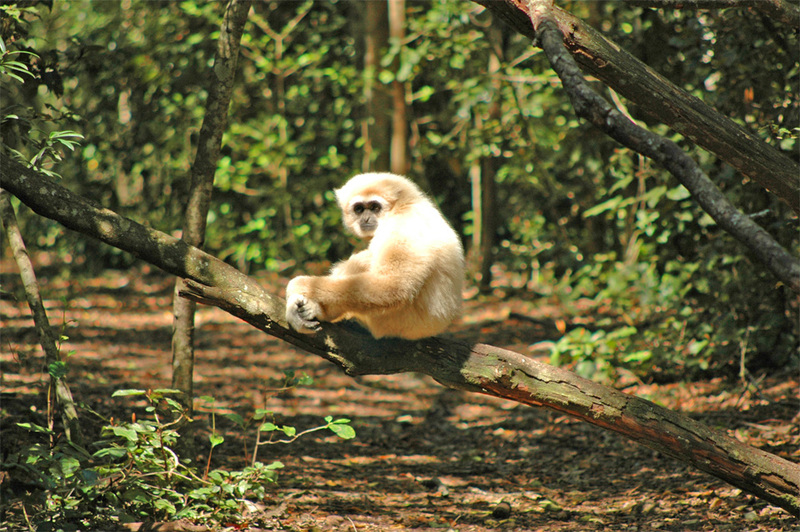 The lar or white-handed gibbon (Hylobates lar). 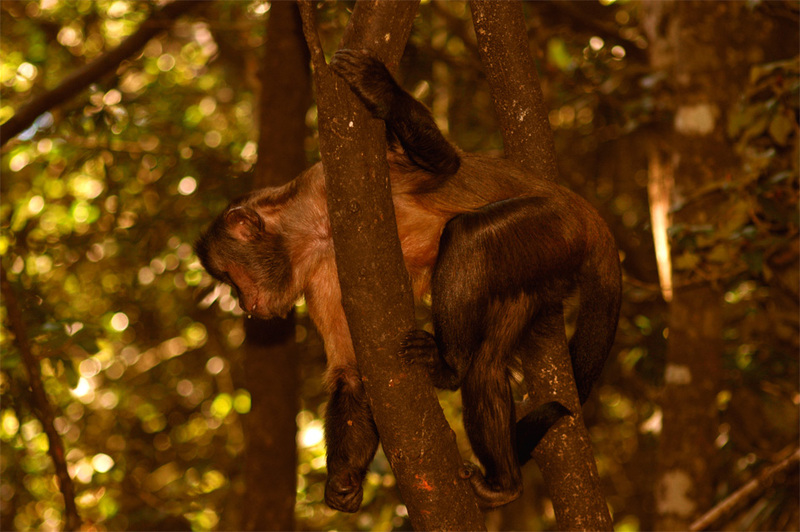 The capuchin monkeys (Cebus olivaceus). 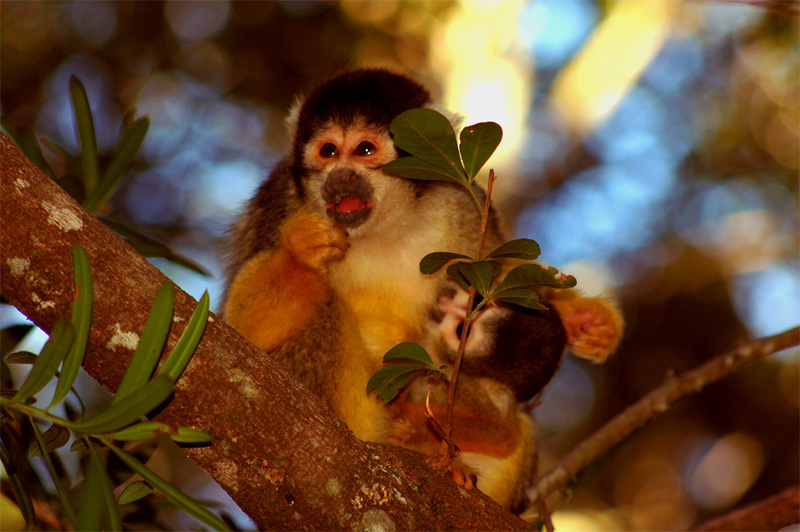 The Squirrel Monkeys (Saimiri boliviensis). 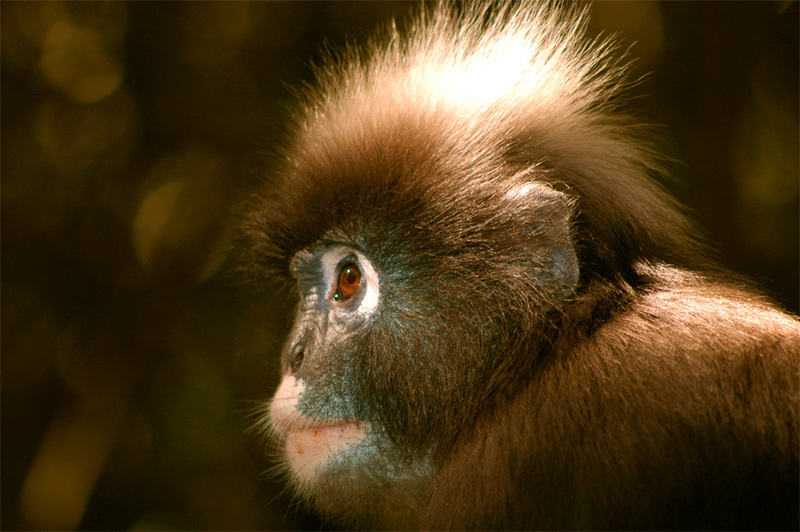 The face of the spectacled langur (Trachypithecus obscurus). 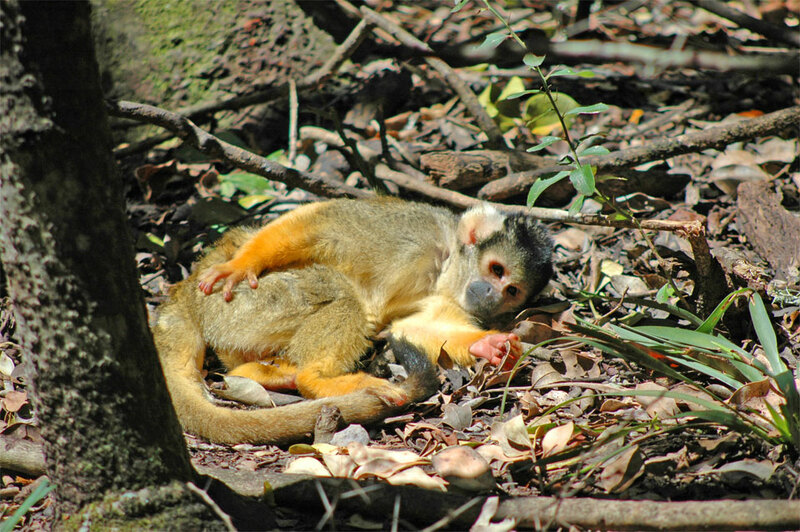 A Squirrel Monkey takes a nap in a spot of the sun on the ground. 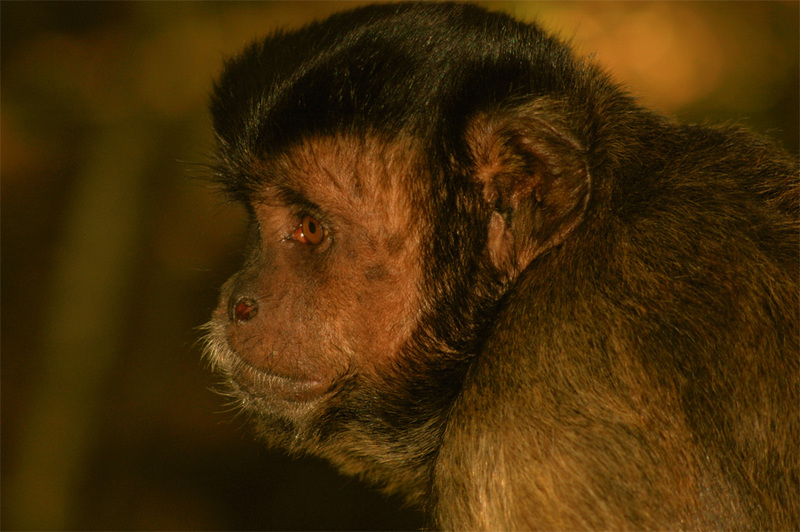 The capuchin monkey (Cebus olivaceus). 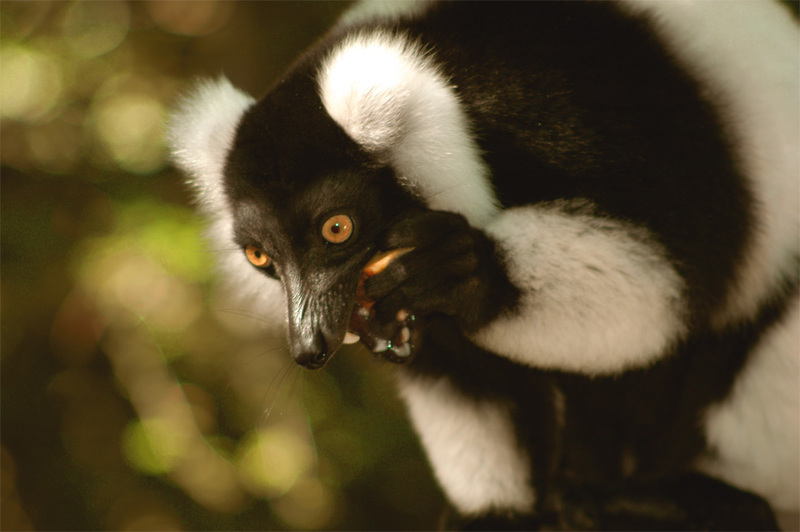 Black & White Ruffed Lemurs (Varecia variegata variegata). 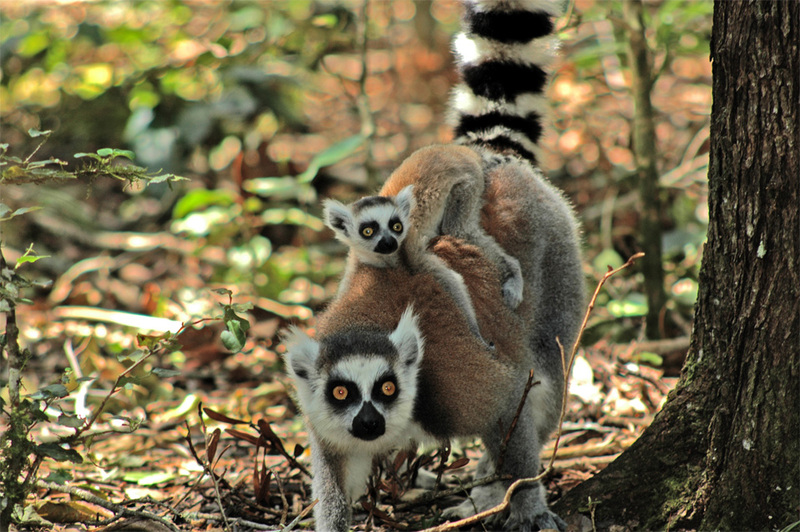 The Katta kid feel visibly fine on the back of its mom. 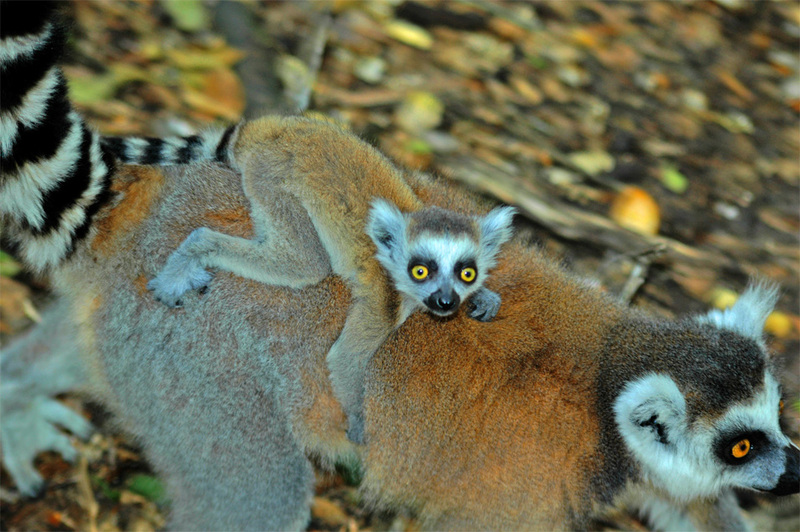 A little baby Katta Lemur rides on the back of its mom. 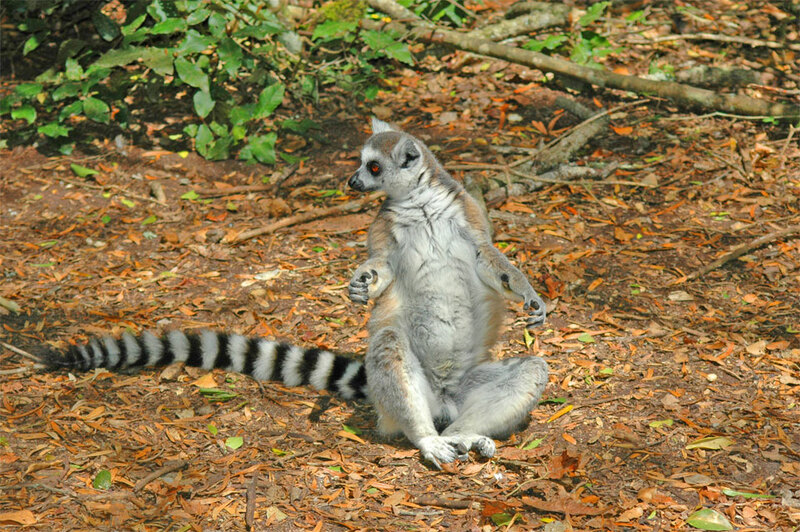 A Katta (Lemur catta) in its typical sit posture! 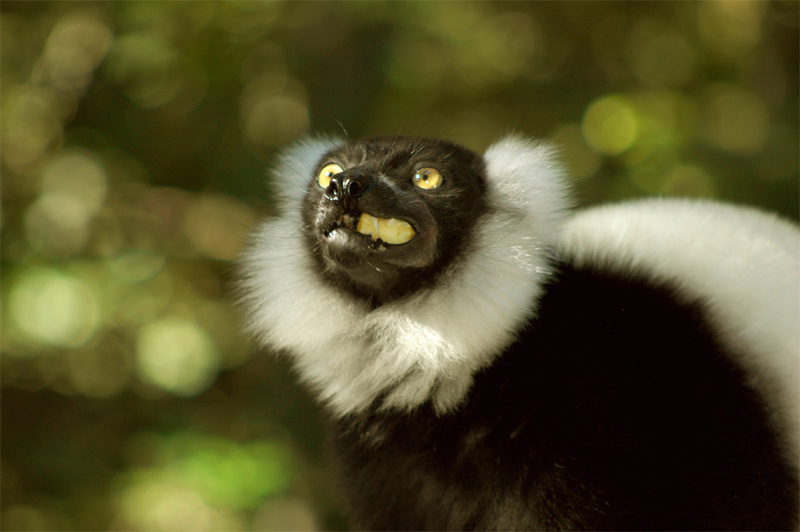 Looks like a meditate Buddhist. 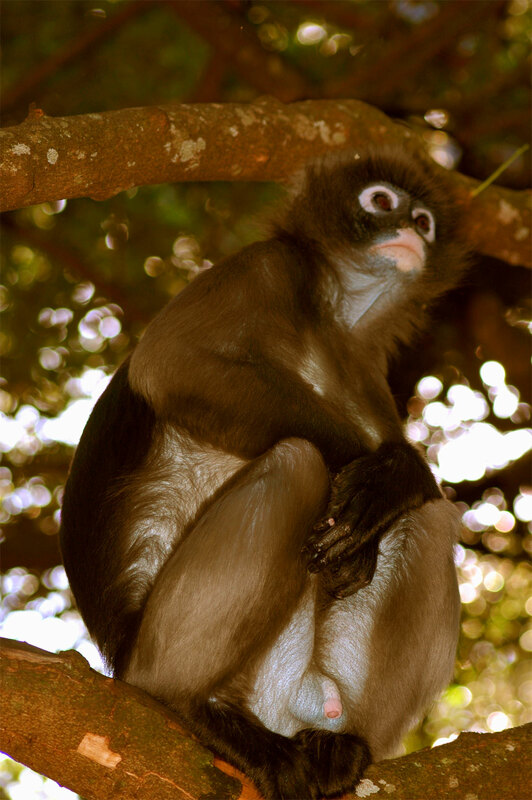 A beautiful Lar Gibbon (Hylobates lar) sits on a trunk of a tree. 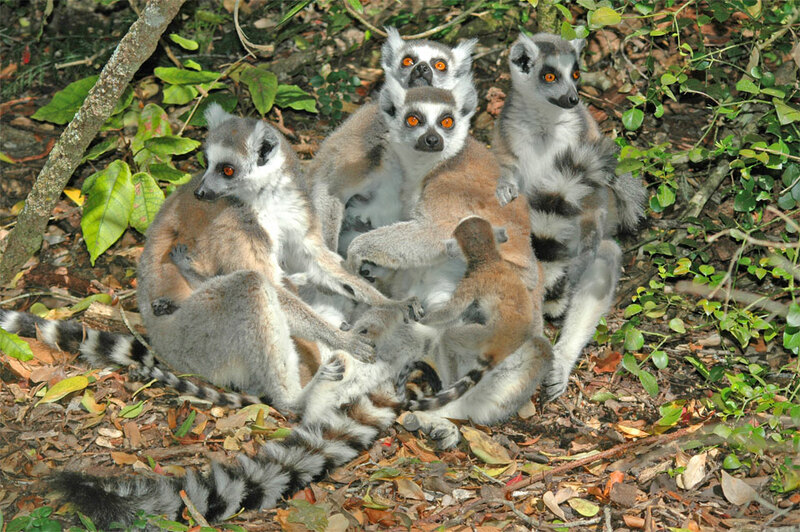 Several Katta moms with its kids cuddle up to each other.